Table Table is a brand owned by the Whitbread Group, applied to pub-restaurants across the country. Several of these are at A-road services, attached to a Premier Inn. 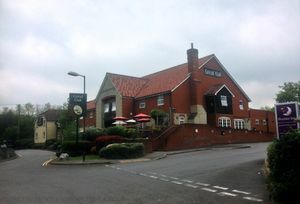 During 2018, most of the roadside Table Table restaurants were replaced by Whitbread's other brands such as Beefeater.